What would you prefer to eat? 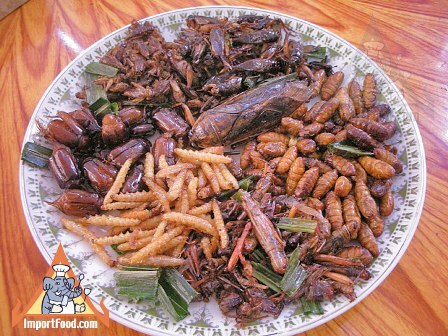 A plate full of fried larvae, cockroaches and other crunchy insect delights? 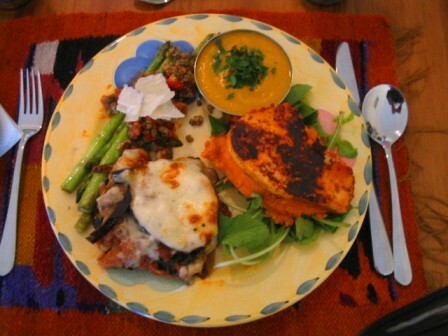 Or a plate full of Hearty Dal Soup, Vegetarian Moussaka, BBQ Asparagus with Macadamia and semi-dried Tomato Pesto, Grilled Panir Steaks in Maple Marinade with Sweet Potato Mash? Alix Vanny recently interviewed me for Radio regarding my thoughts on a recent United Nations recommendation that we should eat less livestock and more insects. You might have already guessed my thoughts on this. Click here, scroll down and listen to the interview. It may take a while to load, and I am the last person interviewed.